October is not all about Halloween. 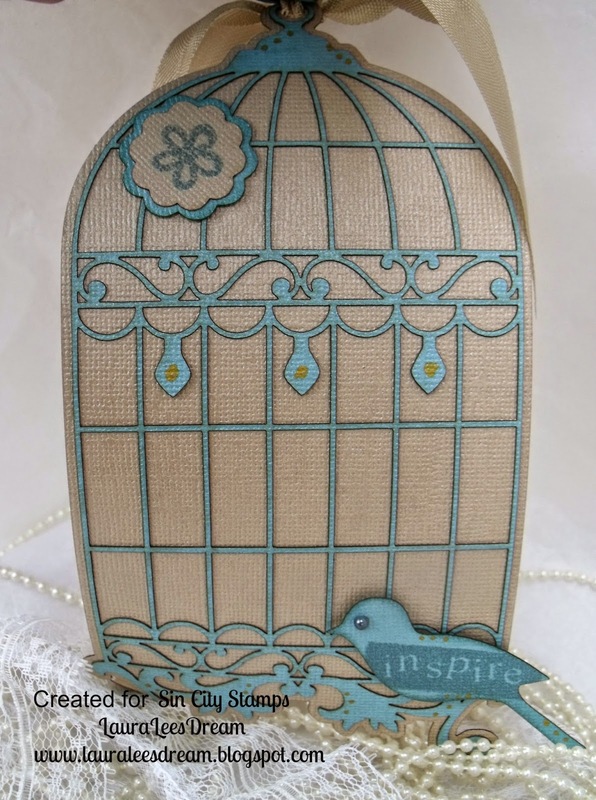 Today I am going to show you a Bird Cage Mini Album. 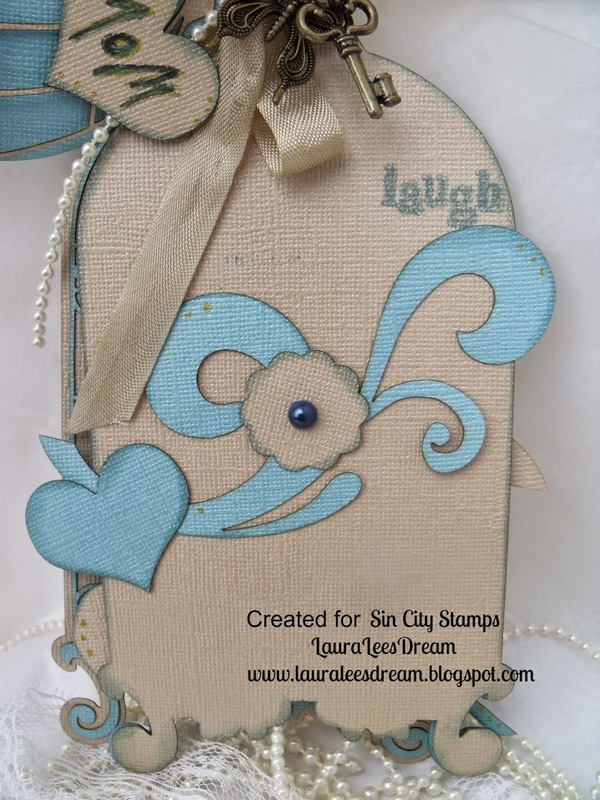 I have been wanting to play with these die cuts since I got them..
Then I added some pearls and gold pen dots here and there. I then put the album together with seam binding. I added the charms with some seam binding. I also added a bow and more pearls. As you can see this album with be about my Mom. Every year at this time I think about her more than usual. 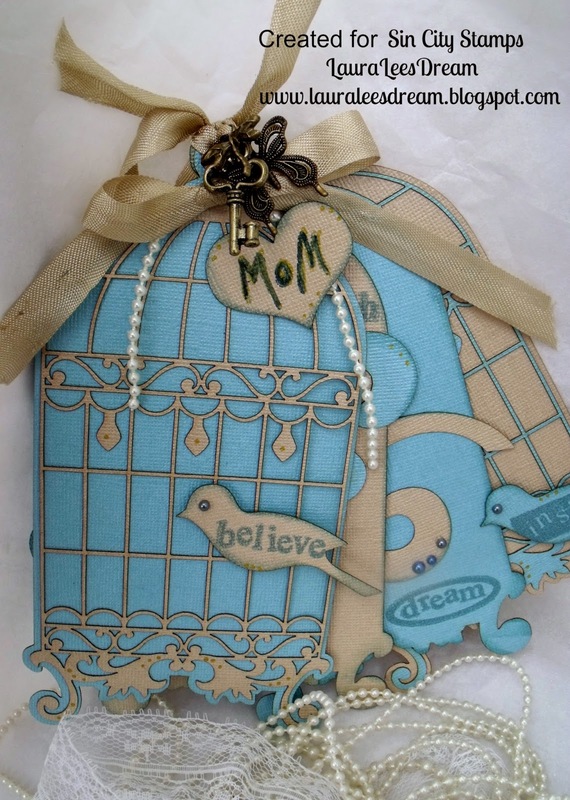 The charms I added are special just for my Mom. The dragonfly, a key to my heart and a butterfly. at the top and bottom so I can add a picture. made of but its so shiny it is perfect for the birdcage. The back page is the same as the front. I can add photos under the top layer. 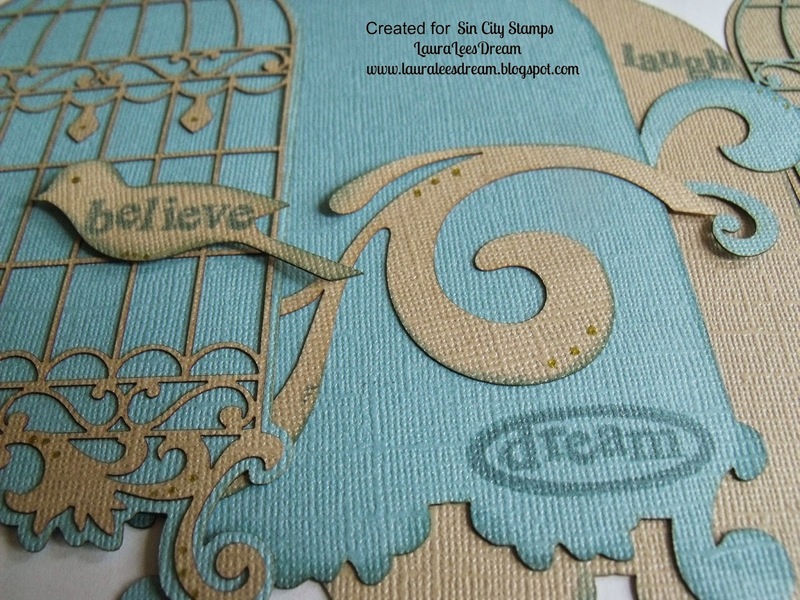 Check out all the wonderful die cuts.